Denise Valentine’s storytelling performance illustrates the power of story to transcend differences between people, transform negativity and inspire hope. In a captivating voice, she combines historical narrative with folktales and mother wit. She has delighted audiences at hundreds of performances and workshops for schools, libraries, museums, and community events. 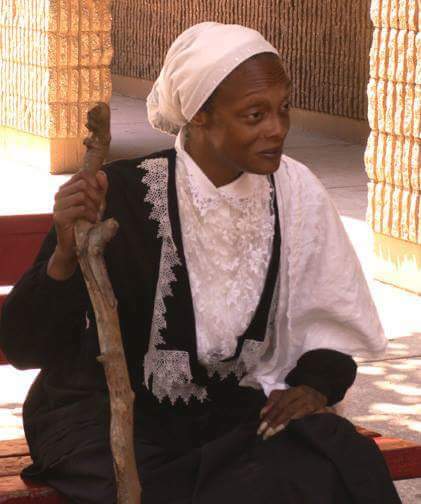 Denise is also a historical performer and has portrayed Sojourner Truth and Phillis Wheatley. Best for Lectures, Stage Presentations, Staff Development, Residencies, Family Reunions. Denise was amazing. The creativity expressed in her stories and the intonation of her voice was completely engaging for all audience members. We are most appreciative and want to work with Denise again. She enriched out tribute to Martin Luther King, Jr. and the struggle for civil rights. Will send photos asap. Hildy, thank you for this wonderful review. 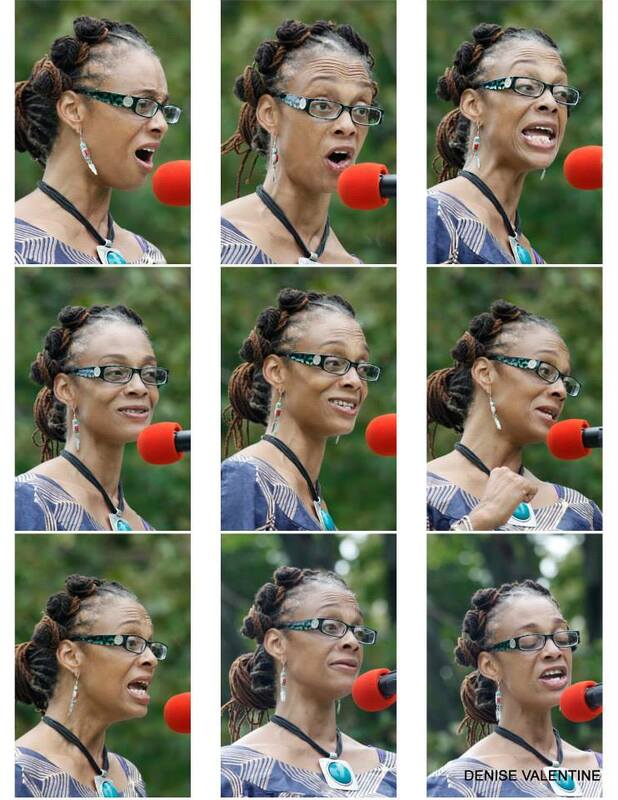 It was my immense pleasure to share stories for the Martin Luther King Jr. Family Festival at Woodmere Art Museum. Thank you for inviting me to be a part of the day. Looking forward to my next visit! I had the great privilege to work with Denise Valentine on two occasions this summer- once in Doylestown, Pa and once in Bensalem, Pa. She was a wonderful part of a new storyteller program called Legends at the Library, part of the overall summer programming for the Bucks County Free library Branches. Her level of professionalism was beyond compare and was noted by not only me but the staff at both library branches where she worked. She also came very highly recommended by one of her storytelling peers this summer, which also speaks to the level of respect she has earned from her fellow storytellers. She is commanding and dynamic in her art and I hope to again work with her in the not too distant future! Dear Rob, Thank you for this heartwarming review of my storytelling performances for families at Bucks County Free Libraries. It was truly my pleasure. I give you and your staff an equally high rating for your courtesy! This was my first experience with Gig Salad as well as working with Denise and I could not be more satisfied on all fronts! Gig Salad immediately connected me with a number of performers. Communication was easy via Gig Salad, and I appreciated the ease with which I could make the booking directly via the website. Denise was AMAZING ... she was professional, excellent about communication, very prompt in answering questions and gave a truely remarkable performance. I appreciated her willingness to listen to what I needed for the event. She is a very warm and knowledgable person ... it was a fantastic experience all around! Denise, many thanks! Thank you Kachina! It was truly a pleasure working with you. I enjoy the challenge of trying new things. Best of luck with your project. Interactive storytelling performance or workshop with a focus on reading and cultural literacy, conflict resolution, character building or ecological sustainability. Live musician or multimedia presentation optional. Residencies available. 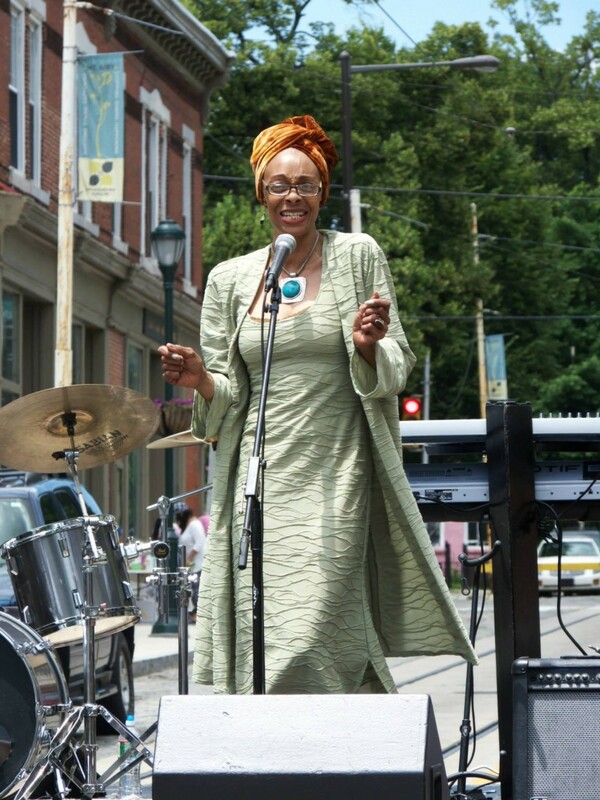 Denise’s career highlights include performing in South Africa, the Ananse SoundSplash Storytelling Conference and Festival, in Jamaica, West Indies, Pete Seeger’s 2015 Clearwater Great Hudson River Festival, a feature in The Magazine of the National Endowment for the Humanities (2013), an appearance on the Travel Channel’s Mysteries at the Monument and a voiceover for the documentary “Emancipating Cliveden” about Historic Germantown. Denise is on the roster of The Pennsylvania Council on the Arts, Arts in Education Directory for Southeast Pennsylvania and the Pennsylvania Humanities Council’s Commonwealth Speakers Bureau.